SQLite is an RDBMS contained in the C library. It is a popular and the most preferred choice of programmers for mobile app development. It is a compact library and does not have a separate server process. It allows static and dynamic linkage with applications. Besides this, it supports simple function calls to access storage files. This reduces the latency of transactions several folds. SQLite does not need a setup. There is no server process, unlike other databases that need configuration settings to get installed in the system. A majority of SQL database engines create a separate server process. 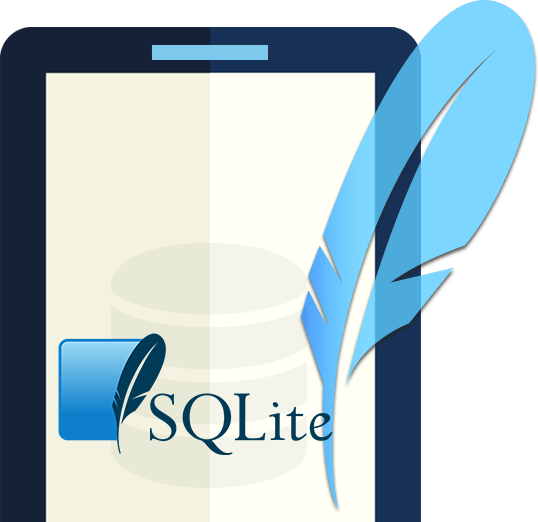 SQLite has no process to install, setup, manage and troubleshoot operations. It is a single ordinary disk file less than 500KiB in size which can be located anywhere in the directory structure. In contrast to the static typing mechanism of other databases, SQLite supports manifest typing. It allows storage of any value of any datatype into any column regardless of the declared type of that column. It is fully ACID compliant allowing multi-threaded and safe transactions. Are you looking to integrate your web or mobile app solution with a reliable database backend by the best in industry experts? Contact us to get free consultation! We look forward to help taking your idea to the next level.